Put Yourself “FIRST” right now! 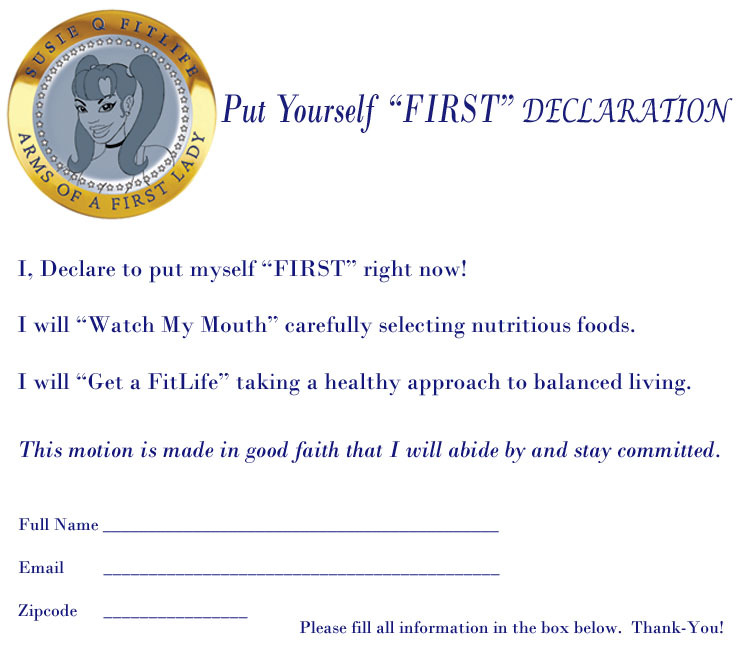 SusieQ FitLife’s mission is to attain One Million & One Signatures from everyone who is ready to “Get a FitLife”! These signatures will be presented to Capitol Hill! This nation can & will be healthy and happy!